Our fabulous Deborah wrap is entirely handmade of 100% heavier-weight, hand spun Ethiopian cotton. A customer favorite, the Deborah is back in our collection for Fall/Winter. 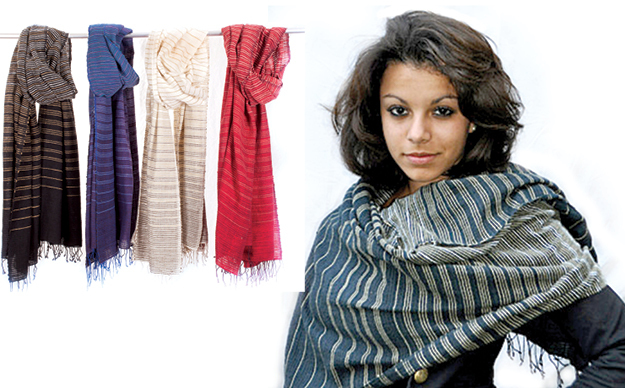 The Deborah is more than a wonderful scarf or wrap. Customers have used this in their world travels not only as a beautiful accessory, but also as a picnic blanket, or a throw on the airplane. They have worn it as a sarong, and used as a head wrap. The list goes on. You can hand wash all of our scarves and wraps.